It appears that after Warner Bros. dropped that second full trailer in December (you know the one that caught all the backlash for essentially giving away the whole movie?) they felt the need to give audiences one more, hopefully reassuring look at Zack Snyder's Batman V. Superman: Dawn of Justice before it bows at the end of next month. Well, it seems they've more or less succeeded. Opening with an extended sequence and the boldest look we've had at Ben Affleck's Batman yet this trailer quickly sets up a different tone than that hinted at in the previous trailer and stick with the Batman versus Superman conflict throughout. Due to the fact I still believe there was no need to show us anything more after last years Comic-Con trailer I'm somewhat disappointed there is yet another trailer for the film, but I understand the need and the strategy. All of that aside, I'm as excited for this movie as anyone, but my hope to walk into the film and still be mostly in the dark about what we were getting seems to be getting smaller and smaller. Fortunately, with this latest trailer, the new footage gives us a look at the aspect of the film audiences have been most curious about without completely spoiling anything in the fashion of the previous trailer. We get a quick tease of Batman's hand to hand combat style and then are thrown into a montage of footage we've seen before save for that last, pretty glorious shot. Of course, as I've said before, all of this is said with a sense of optimistic reservation as director Zack Snyder is a master of the movie trailer, but the final product doesn't always live up to such promises. We'll see if Snyder can deliver sooner than later now. 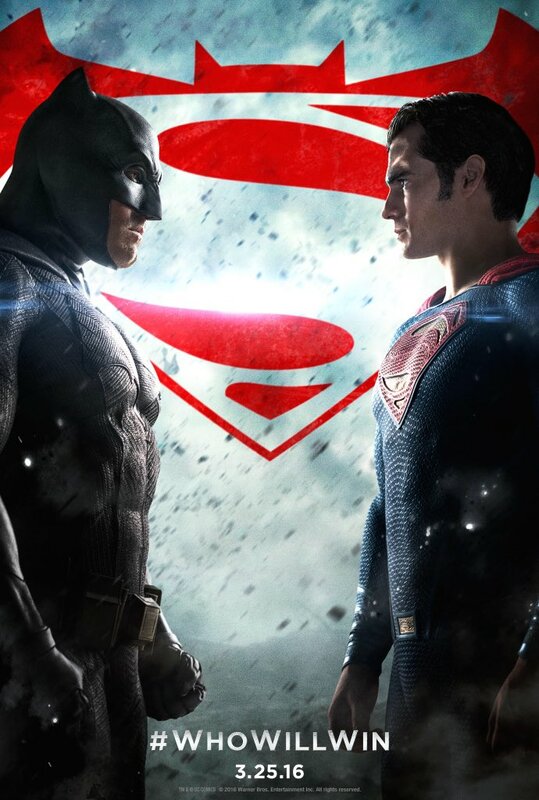 Batman v Superman: Dawn of Justice stars Henry Cavill, Ben Affleck, Gal Gadot, Amy Adams, Laurence Fishburne, Diane Lane, Jesse Eisenberg, Jeremy Irons, Scoot McNairy, Jason Momoa, Holly Hunter and opens on March 25, 2016.